Ingoldmells is a coastal village some 4 miles north of Skegness. It has a population of just under 2000, but in the Summer it goes up to 90,000 with holiday makers and long stay caravaners. The village has many active clubs including Sequence Dancing, Martial Arts, New Age Curling to name a few. It also has a computer hub run by the neighbourhood management team. 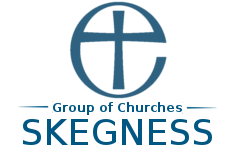 It has a wide variety of shops and a good bus service to Skegness, Boston and Grimsby. There is also a daily return bus service to London and a twice weekly service to Sheffield. Butlin’s Holiday Centre, Fantasy Island and Eastgate Market (Europe’s largest seven day market) are within the village boundary. There is a very active parish council. During the last war Butlin’s was HMS Royal Arthur and trained naval ratings. This was their local church and now there is a “Royal Arthur” chapel within the church including a memorial stained glass window and a War Graves section in the graveyard. During the war HMS Royal Arthur was reported by the Germans as having been sunk! 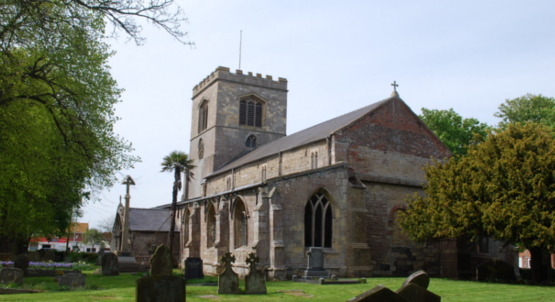 The Church of St Peter and St Paul is an early Norman Church (Grade 1 listed) and is the oldest in the Skegness Group, having a peal of 8 bells acknowledged as one of the finest in Lincolnshire. The first service was held in 1205, but there are indications that a much older church existed. There are traces of both Viking and Anglo Saxon settlements in the vicinity. In the churchyard and in the church itself there are a number of interesting ancient graves. There was also a Roman garrison and salt works for a number of years. Nowadays employment is mainly agriculture and the holiday industry. Regular communion services were until recently held on a Sunday and Wednesday with a form of Cafe Church on a Saturday. This is well attended in the summer, and brought new people into the Church, some of whom attended services. Remembrance service, flower festival, Parish Council Civic Service and the Viking School Carol Service. In our identification of our Mission Communities, St Peter and St Paul was categorised as a Festival or Celebration church.